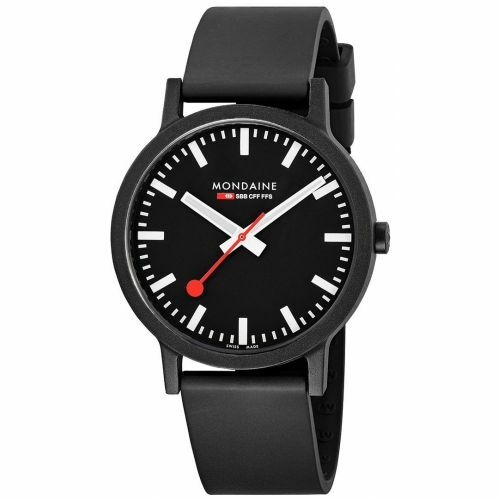 So simple yet exceptionally stylish, distinctive Swiss design features ensure these timepieces stand out in a crowd, giving Mondaine watches Worldwide recognition. 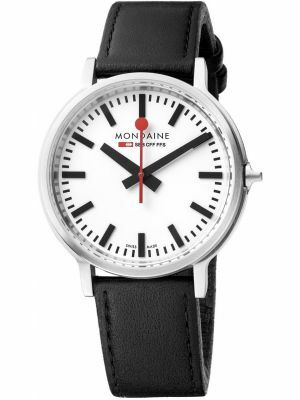 The simplicity of bold hands, red second hand set on a stark white or solid black dial ensure clarity. 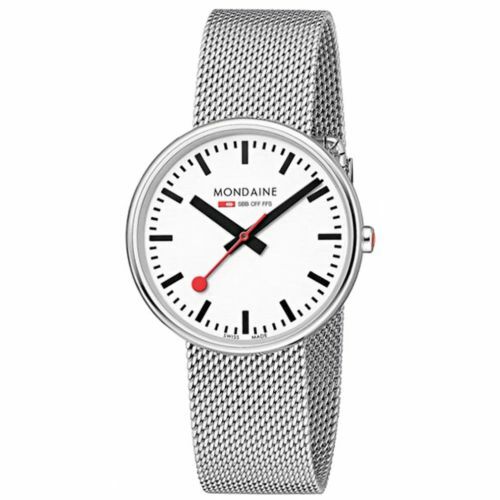 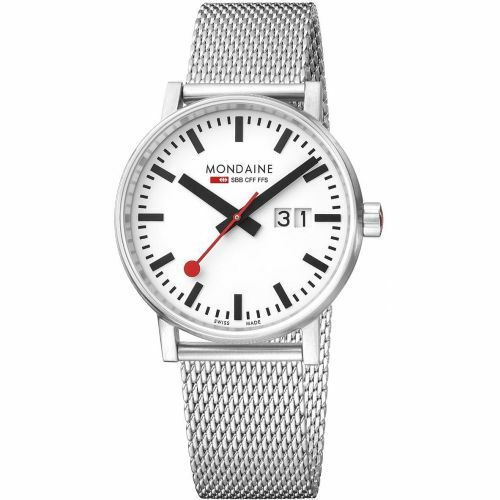 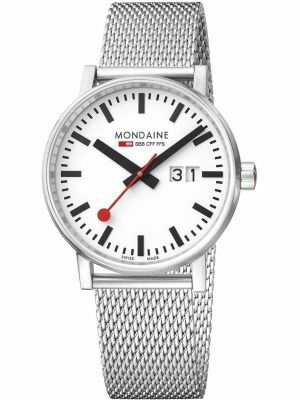 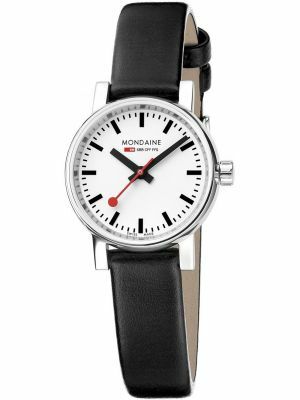 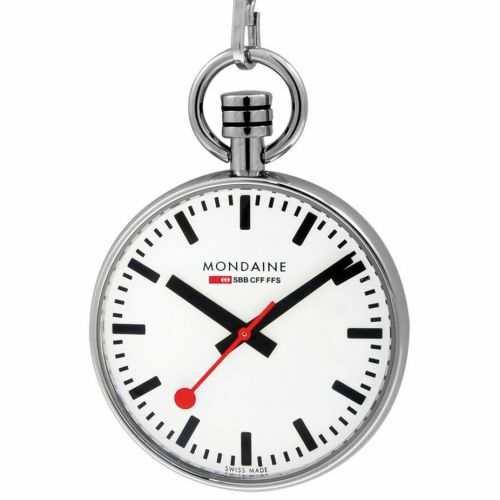 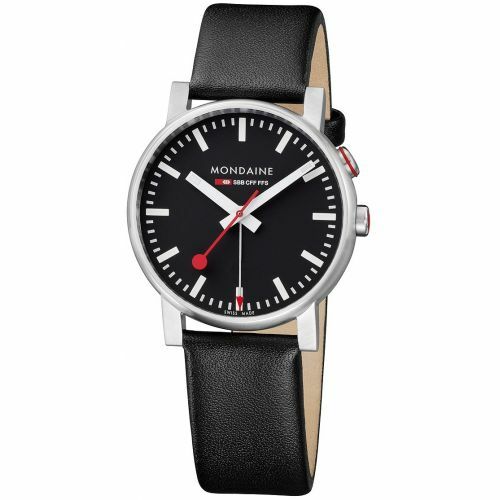 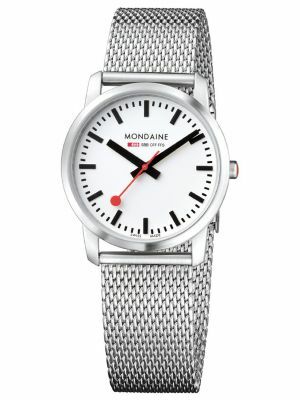 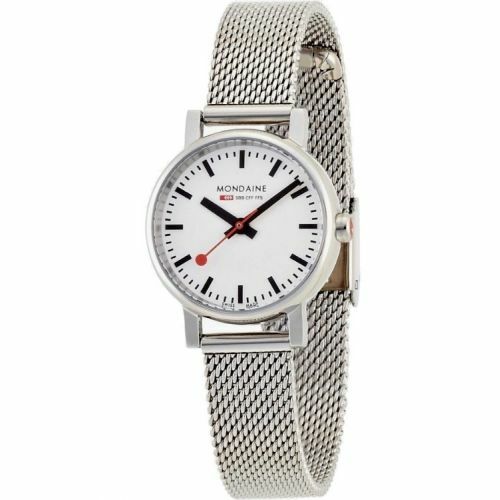 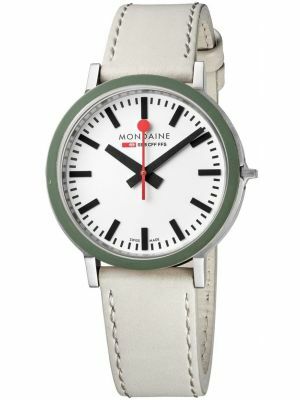 The clear but distinct dials ensure Mondaine watches appeal to all age groups and genders. 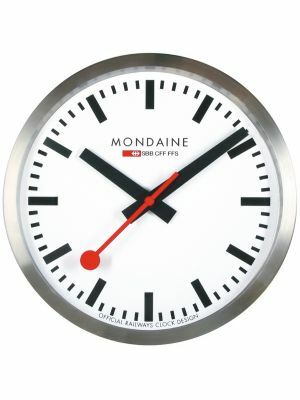 The Red second hand represents the hand-held signals that were used by Swiss train station managers. 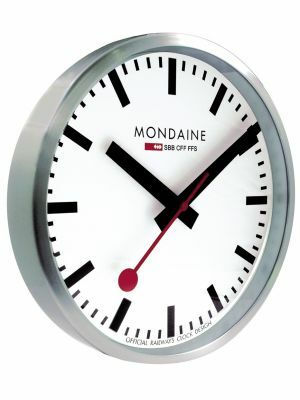 It is this distinctive second hand that has made these timepieces famous worldwide. 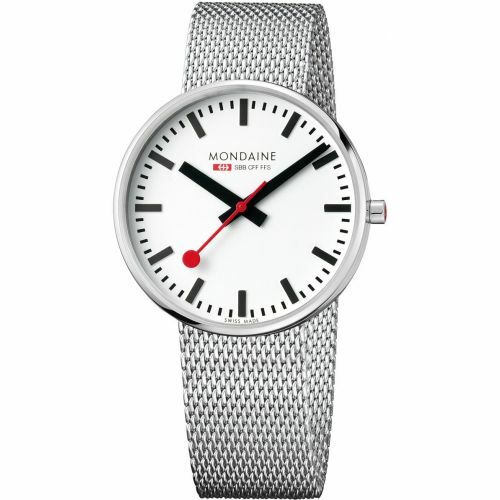 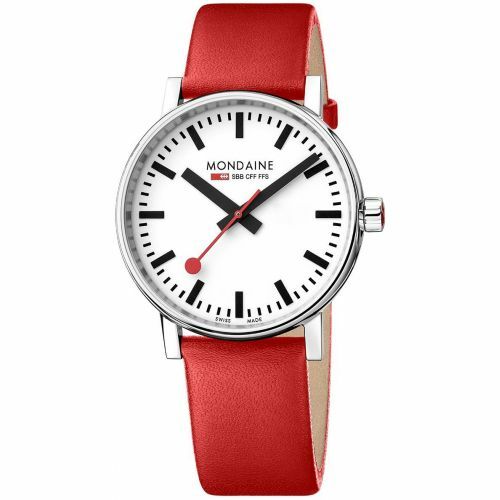 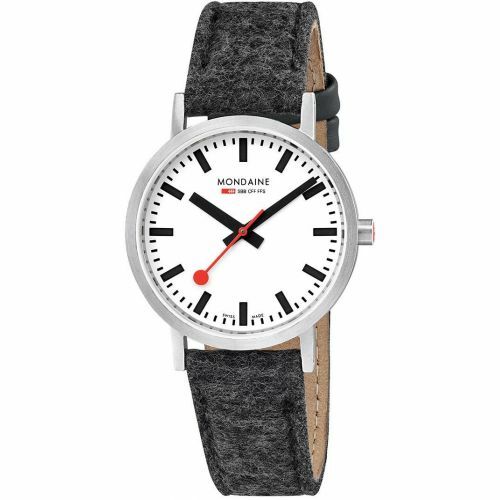 Mondaine watch models house Swiss quartz and automatic movements ensuring accurate and reliable time keeping. 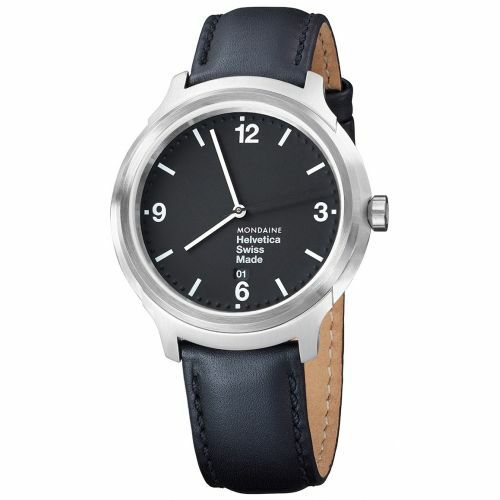 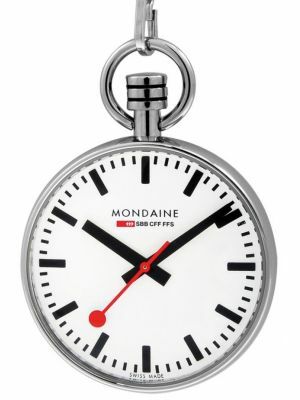 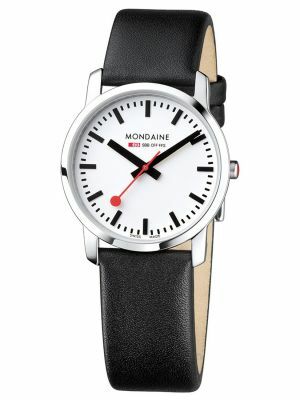 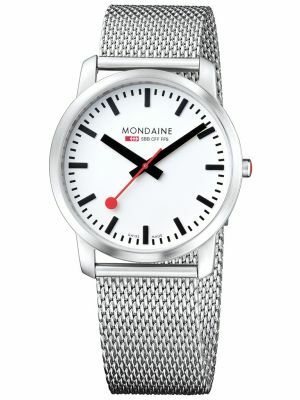 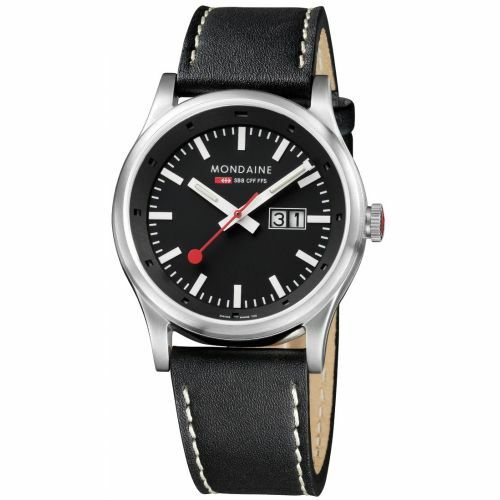 Two key factors have proved to be a recipe for success; design and quality have helped Mondaine go from strength to strength throughout the years and is now considered one of the “10 classic Swiss watches” and has also been regarded as one of the most iconic examples of the 20th century by the London Design Museum. 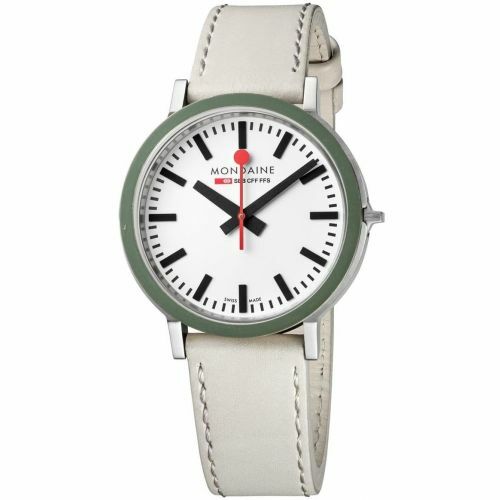 What defines Mondaine watches are the legibility & iconic look which has been constant throughout all of their ranges. 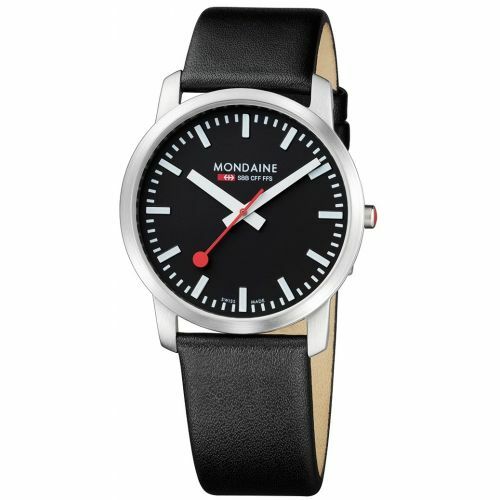 All Mondaine watches come with a 2 year warranty and presentation box.